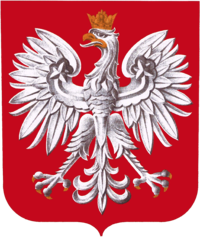 The Friends of Polish Art was established in 1937 and functions as an educational organization, acting as a medium for the promotion of understanding and appreciation of the Arts of Poland, its people and their descendants. These Polish Arts include both the Fine Arts and Liberal Arts. The Fine Arts include: Graphic Arts, Painting, Sculpture, Architecture, Music, Drama, Theatre, Dance, and other forms of creative physical skills and crafts. The Liberal Arts include: History, Language, Literature, Philosophy, Religion, and traditional customs. Offer to public, private and educational groups information pertaining to the arts. Procure works of Polish Art for the purpose of donating these objects to public, private, and educational institutions and/or organizations. Cooperate with other cultural organizations by partaking and/or assisting in joining programs in order to fulfill the common objectives of the clubs.